When it comes to costruction gear, most people assume that construction equipment made by Chinese companies is below average and that even gear manufactured in China for foreign brands was of poorer quality compared with what the same firms coumd produce at home. CLSA, a broker has made an independent study just to know more, and the findigs are surprising. 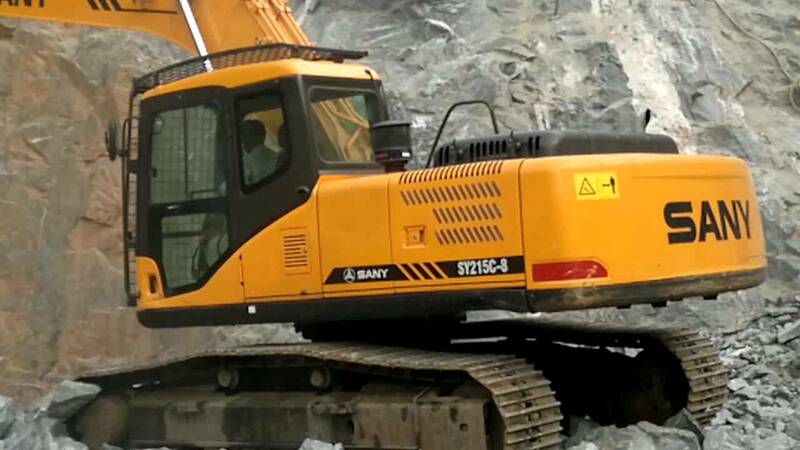 The test was made about a wide range of Chinese diggers, manufacted by Chinese firms such as Sany, Zoomlion and Liugong. These brands are unknown to you ? It might very soon change since China is now exporting this stuff, and that it is proving highly efficient. Because these brands are cheap, they have a potential for exportation all over the word. Even more surprising, the switch is very recent, it has taken place five years ago, during the global financial crisis. At that time, around 90% of the diggers on Chinese building sites were foreign, most of them built in China but still foreign. In 2008-2009, the Chinese goverment issued a stimulus package to encourage Chinese manufacturers to expand. It worked, a construction boom occurred (some people say a construction bubble, but that’s another story…) many new Chinese firms could develop and enter the market. There products were of inferior quality compared with foreign star brands such as Hitachi or Caterpillar, but they were cheap and very soon they conquered the Chinese market. To buy apartment compounds, the most often used device was a Chinese digger. And the story goes on. With expansion and success came ivestmet and technology upgrade. This was made through resarch, joint-ventures or simply by buying technology. For example, Say bought two european companies, Putzmeister ad Intermix and was involved in a third one, Palfinger. Zoomlion bought one european company (CIFA) when LiuGong and Xugong enetered in joint ventures with an US firm, Cummins, and Doosan, from South Korea. In the meantime, foreign firms have found themselves with less demand since their offer in China consisted in relatively low tech material for which the demand was decreasing. The test by CLSA was made on the diggers from 6 companies: Caterpillar, Sany, Hitachi, Doosan, Komatsu and Kobelco. The tests went on for 6 weeks of heavy digging, trying to get the gear to its limits. The most surprising finding is the reliability of Sany’s stuff. It did well on all the criteria, productivity, resistance, fuel efficiency. The best nrand is still Caterpillar, but Sany came next, in front of the South Korean and Japanese diggers. The conclusion of the study was that there is no more technology gap. This is one field but it says a lot on the evolution within Chinese manufacturing these years.